We are stewards of the Bar U: promoting understanding of the history of ranching and demonstrating historical ranching practices. The Friends of the Bar U was registered under the Societies Act in 1993. Since that time the Friends have worked in a spirit of cooperation with Parks Canada for the benefit of this and future generations of Canadians. 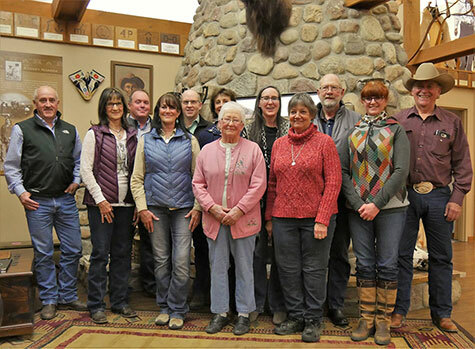 The Friends are comprised of members of the community and together with Parks Canada, had the Bar U Ranch officially designated an historic site. As a registered non-profit organization, they work “to further public awareness and understanding of the site, and to protect it for the benefit, education and enjoyment of present and future generations.” That is our mission. * Please scroll down to see Friends of the Bar U Newsletters. Want to know more? Interested in becoming a Friend? Donating? Talk to us. Write to us or Email. Better still, come and see us. Click on Contacts/Links. Your time or money will be well spent. We work to keep the spirit of the Bar U alive. 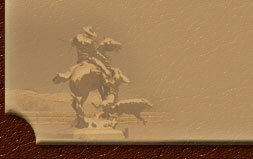 We purchase and restore historic ranching equipment and we acquire artefacts for restoration and public display. We also assist in the replacement of old fencing and corrals, and to stage annual publicly attended events, such as Ranch Horse and Chore Horse competitions, and the always popular, Ranch Rodeo. As volunteers, we give of our time and effort through fundraising initiatives, participation in board meetings to plan, organize and promote and educate, and financial contribution to Bar U projects. What we do reflects who we are. We are committed to the Bar U, to preserving for all time one of the first, most successful, most enduring large scale cattle ranching operations in Canadian history. Creating opportunities to participate in future ‘Friends of the Bar U’ projects. We are a registered non-profit organization. Proceeds from our annual Trail Ride, held in August, Stockman’s Dinner, held in January, and the sale of Bar U calves help to fund our many activities. Every three years we hold a casino, our largest money making event, and for a $100 donation folks can have their registered brand permanently displayed at the Bar U Visitor Centre. Another fundraising venture is our 125th Anniversary Bar U Legacy Fund, managed by the Calgary Foundation (see links), a charitable organization managing over one hundred such accounts. Through the Calgary Foundation, tax-deductible donations to the Friends, whether large or small, one-time or ongoing, are used for financial investments, with only interest from the investments accruing back to the Friends. In this way, gifts to the Friends of the Bar U Historic Ranch Legacy Fund, means you will be a supporter of the Historic Bar U forever.